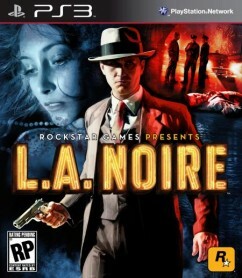 L.A. Noire. The game that promised so much, the hype almost became unbearable, and the wait even more so. Having pre-ordered the game a couple of months back, May 20th just couldn’t come fast enough for me and as I scampered home on that bright spring afternoon, carefully peeled away Amazon’s stress-free packaging, and with bated breath waited for the seemingly eternal installation. There was only one question on my mind: How good will it be, being the good guy? This is new territory for Rockstar, with previous esteemed titles such as GTA and Red Dead Redemption providing hour upon hour of sometimes hilarious criminal escapades and proving so popular, it’s certainly a bold step to adopt the same system with a complete role reversal. The problem is for me, that whilst street shoot-outs, car/horse-jackings and driving motorcycles from the top of the empire state building is unquestionably entertaining in the aforementioned titles, sprinting through the streets of LA armed with not a lot more than a pencil and a little black book isn’t quite so enthralling. 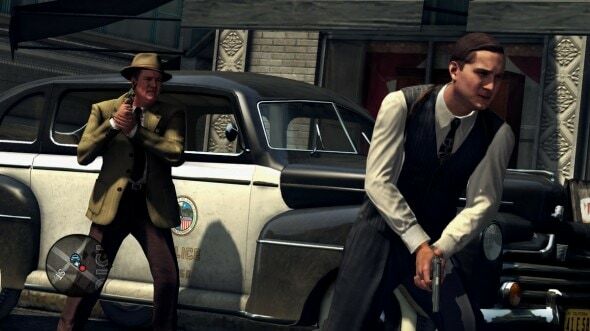 But, what we’ve got with L.A. Noire is quite the mixed bag. 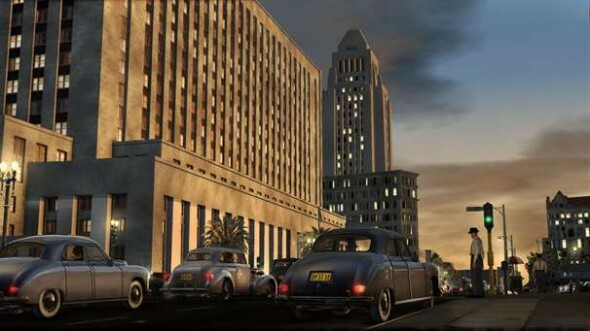 The driving force behind L.A Noire is the new approach to the visuals and character animations. 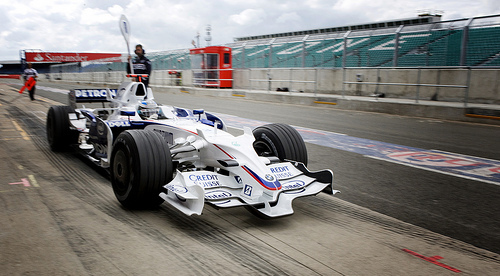 The new ‘Motion Capture’ technology is evident throughout the game, and actually plays a pivotal role in progressing through the game successfully. As Cole Phelps, resident good cop in the 1940’s, a time when the LAPD was quite notoriously suffering from some deep rooted corruption in its ranks, you have to navigate your way through a series of intricate crime scenes. Each case is played out as if it were a scene from a movie, and together they create an ongoing ‘thriller’. Throughout the game, and after a string of successful cases, you’ll be promoted through the ranks, end up with different partners each with quite distinct traits. In said cases, you’ll be required to perform several tasks, namely interrogation. Now, when I say interrogation, you might be thinking: ‘hey, this is Rockstar, we might be in for some serious water-boarding here’. Well, unfortunately there is nothing so riveting, instead you simply have to watch as Cole asks questions based on pre-defined clues, and you watch on inquisitively trying to pick up whether the suspect is lying or telling the truth. To aid you with this, the Motion Scan technology has perfectly captured the actors faces, not just their voices, and recreates an animation of their exact body language and facial gestures – a first for the video game industry, and it’s mighty impressive. Anyhow, then you’re faced with three options: Truth, Doubt, Lie. Pick the correct one and you’ll proceed with the case, choose unwisely, and like Walter Donovan in Indiana Jones and the Last Crusade, you’ll age a thousand years and die an untimely death. No, in truth you simply get an angry response and be forced to look elsewhere or ask another mundane question. Accuse them of lying, and you’re forced to back it up with evidence that you may or may not have collected on your way. You know, this doesn’t sound particularly action-packed to me. And it isn’t. The closest you’ll get to excitement, like a middle-aged single mother, is with a good vibration. That is to say, that when you’re inspecting a crime scene, the Dualshock controller will give you a little rumble to hint that you’ve stumbled across a potential clue, or item that you can at least interact with. You pick it up, do whatever has to be done with it, if anything at all, and be on your way. Once you’ve found all the clues, you usually find you have to drive all the way across town to speak to a new suspect. Having said all that, whilst you’re wearily plodding through case after case with relative ease for a blockbuster video game, you can at least marvel in the splendid visuals and the attention to detail paid by the developers in recreating 1940’s LA. It’s done with incredible accuracy. No, it’s not down to the nearest tree, but you do get a sense of authenticity, particularly with this being the first Rockstar title to include the genuine cars of the time with proper branding, as far as I know. Aside from awesome graphics and animations, games tend to need something else that’ll set it apart from the crowd. After all, the video game industry is packed to the rafters with titles that are all pretty much of a muchness and offer very few unique, and actually good or useful, features. L.A Noire does at least offer some consolation in the community aspect, which is becoming a bigger part in all modern titles I suppose. Anyway, providing PlayStation Network is online, PS3 users can, as well as Xbox players on Xbox Live, access a variety of online features, namely the ‘ask the community’ feature, which allows users to literally ask for help in an online community of players with regards to individual missions or missing clues, etc. Basically something that you’ll want to use if you get stuck for any length of time, and trust me – you don’t want to get stuck for any length of time. The game becomes dreary and tiresome after just a few minutes of scouting for the same clue, unsuccessfully, so make use of this feature wisely. Similarly, there is something in the game that allows for the same sort of help, and that’s called ‘Intuition’. You can gain intuition points as you go through the game, asking the right questions, spotting a liar from a straight-up witness etc. and the more you get, the more times you can call upon your intuition to uncover clues, remove answers from the questions to make it a little easier etc. Again, just something to help you out in the tough missions, of which there are actually relatively few. Adding another little dimension to the gameplay and the life of a cop in LA, you will have to do a series of side missions. Well, you don’t have to, but if you want to actually complete the game, I’d recommend it. These can entail a variety of scenario’s ranging from all-action bank jobs, to simply chasing down a fleeing thief, for example. They vary in difficulty and there are roughly 40 to do throughout the game. You’ll be notified when they are available via your police radio whilst you are driving a police car. Whilst the game on the whole is probably hugely realistic, there are a few little niggles here and there which put a dent somewhat in the authenticity of the environment. For starters, you’ll hear all too often passers by shouting the same generic phrases such as ‘ooh isn’t that the cop from the paper?’, or ‘hey, there’s that cop who solved the blah blah case’, to nobody in particular. In truth, police officers in crime-stricken cities, don’t attract that sort of spontaneous affection from the public, and after 2 or 3 times hearing the same phrase, it becomes a little ridiculous. Obviously with the game coming from Rockstar, the obvious comparisons have to be made with the likes of GTA and Red Dead Redemption, and the gameplay is much the same, whilst the story is a role-reversal of sorts. However, whilst Rockstar has clearly gone the whole hog with regards to graphics, several nice features from those titles have been omitted in this, quite frustratingly. For example, there is no chance to free-roam around the city, buying outfits (though you can change once you have unlocked them by completing missions), driving around aimlessly for a while or stealing tanks, as you might in GTA. For me, this is what made GTA so attractive. If you’re not in the mood for battling through the missions, you can simply go and have a laugh by flying helicopters into buildings. Obviously choppers would look a little out of place in 1940’s LA, but you get the picture. Furthermore there is no multiplayer mode, which was quite enjoyable in GTA, having gang shoot-outs online in various arenas from the game was one of the most enjoyable aspects of the game, yet here there is no such feature. I’d have liked to have seen online car chases, for example, even if they’re only mini-games, but something competitive to add a little extra spice to make great use of the brand new game engine. Putting my finger on what I think of this game may just be the hardest job I’ve ever had to do when it comes to video games. On the one hand, the graphics and animations of the actors (who are real people, a great cast, which is pretty phenomenal in itself) are for now one of a kind, and the best there are in gaming at the moment. On the other hand, you have a storyline and gameplay that creates an altogether quite dull experience, searching for clues etc. It doesn’t amount to much fun, and once you have got over the original amazement at the aesthetics, you’ll be left with a sense of disappointment and frustration that this game just isn’t all that you hoped. It’s not a game that you want to get stuck on. And that says a lot, because sometimes being stuck is one of the most enjoyable, whilst obviously frustrating, but ultimately rewarding parts of a game. Here, though, you can spend hours looking for something so minor, that when you find the solution you just want to kick your console through the window, as well as kick yourself. Having said all that, what this game represents to me is the short-term future of gaming. I hope. The new engine is almost ridiculously good, and the motion scan, if adopted in more titles from other developers, could mean we might see more FPS titles becoming more movie-like, more realistic, and that’s the ultimate aim for most developers, right? It has me excited, not because I want to get back to playing it after a hard days work every day, but because I want to see the next game that Rockstar comes out with. GTA 5 maybe? Perhaps something new, but for now, L.A Noire just didn’t work out the way I’d hoped, and been so stoked about for months prior to unwrapping that stress-free wrapping. Car theft and murder just doesn’t feel the same when you have to arrest yourself for it, so to answer my original question: No. It ain’t great being the good guy.